Anne is a Chartered Legal Executive in the Private Client Department. Anne has over thirty years’ experience and specialises in Wills, Powers of Attorney and Estate Administration. 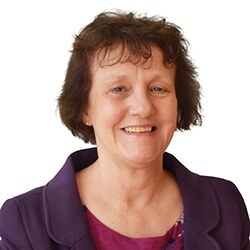 Anne commenced her legal career as a Legal Executive with a large firm of solicitors in Preston Lancashire. Anne moved to the South West over 15 years ago and is a member of the Launceston Area Art Group painting in a variety of mediums indoors during the winter and en plein air in the summer. Anne’s preference is watercolour.